Presents…snow…mistletoe…There’s nothing better than the holiday season! Except when you throw in angry shoppers, long lines, and sleepless nights wrapping gifts. That’s when the chaos has a way of overwhelming the cheer. And Christmas becomes more stressful than peaceful. But not this year! Because this year, my wife, Susan, and I pledge to be better elves. 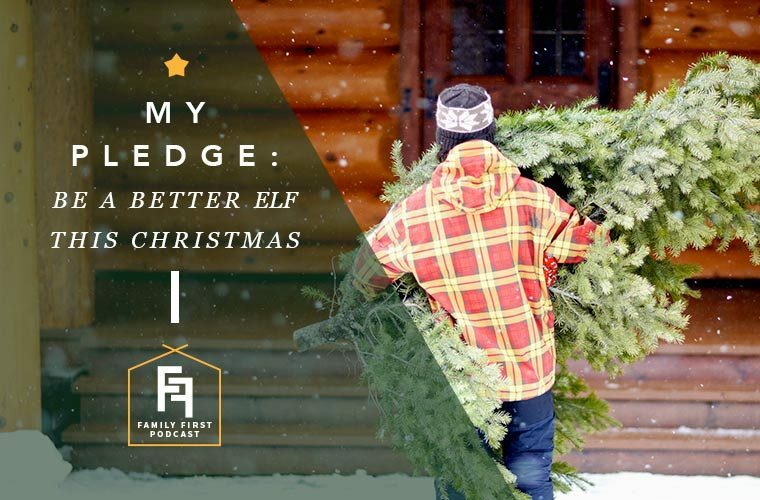 So on today’s podcast, we’ll be talking through how we plan to make this Christmas the best Christmas yet by pledging to be better elves. We pledge to help without being asked twice. We pledge to enjoy the chaos. We pledge to watch Christmas classics as a family. We pledge to stop and reflect more. We pledge to work ahead so we can enjoy the moment. We pledge to put relationships before gifts.